The confocal measurement principle is designed for high accuracy, non contact displacement distance and position measurement against any surface: solid, transparent, polished mirrored surfaces, low reflective matt surfaces and even liquids. If a surface is transparent, a one sided thickness measurement can be achieved with inbuilt correction for the material refractive index. 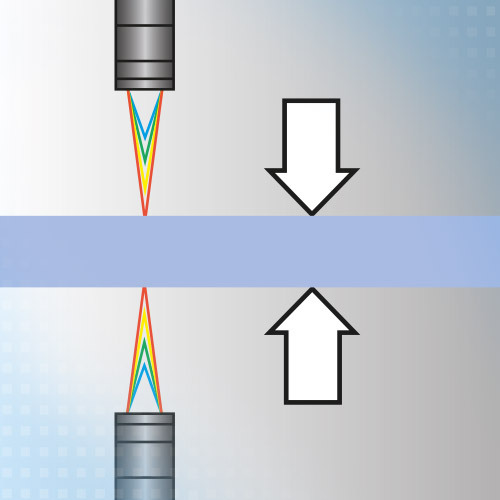 Quite often confocal sensors are selected when laser triangulation or other optical sensors are not accurate or stable enough on the surface being measured. 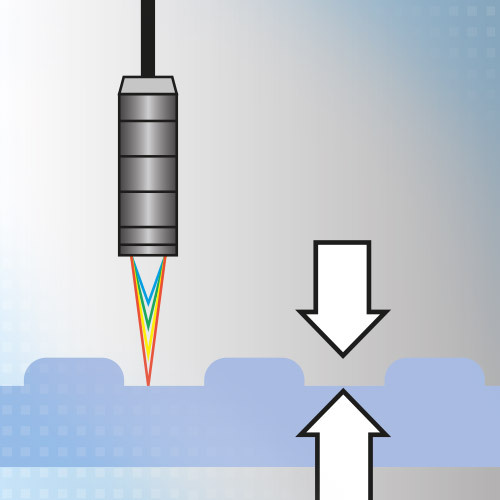 In addition, confocal sensors have an extremely small spot diameter, typically a few microns and measure in the vertical plane, so do not suffer from shadowing of the reflected light. This also enables measurement into small bores and holes. Almost all industries benefit from this measurement principle as it can be used in both R&D and in-process measurements. In particular, the semiconductor, micro lens, automotive part, medical, glass, and MEMS industries use this sensor technology in many ways. Call 0151 355 6070 or email Micro Epsilon to help select the right product for your application. 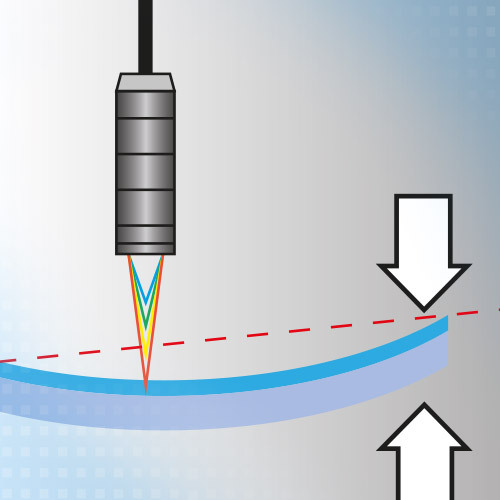 The confocal chromatic measuring principle enables high precision displacement and distance measurements – on both diffuse and mirrored surfaces. Very small objects can be detected due to the small measurement spot size. Due to the axial beam path there are no shadowing effects. With the 90° version, geometrical features can be measured inside holes and recesses. 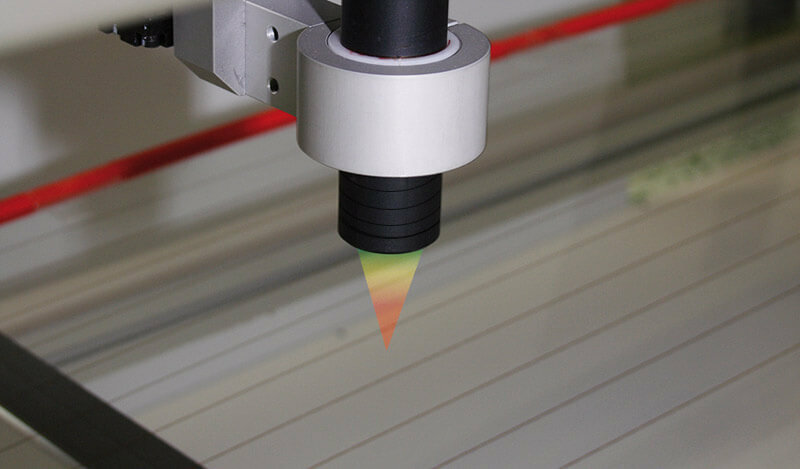 The confocal chromatic measuring principle enables thickness measurements of transparent materials such as glass. 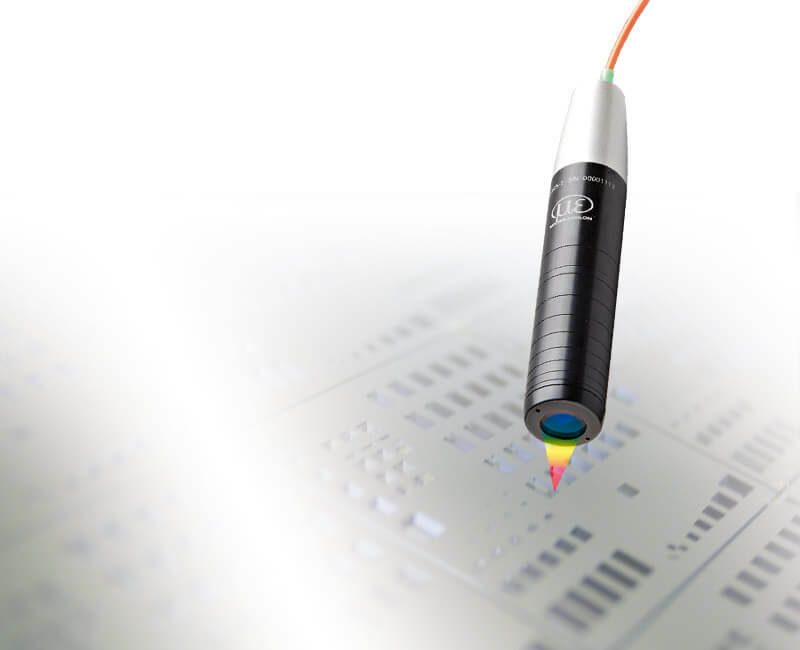 The thickness value is detected to micrometre accuracy using only a single sensor. The controller provides an editable, expandable materials database. 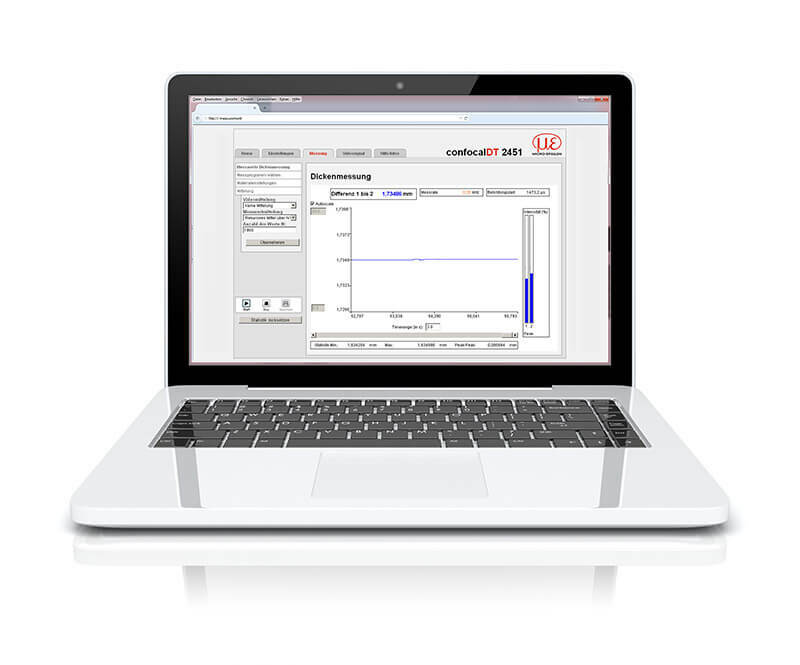 Material-specific parameters such as refractive indexes can be adapted using the web interface. Multi-peak measurements enable the evaluation of up to 6 peaks, which is how multi-layer objects such as laminated glass can be measured. 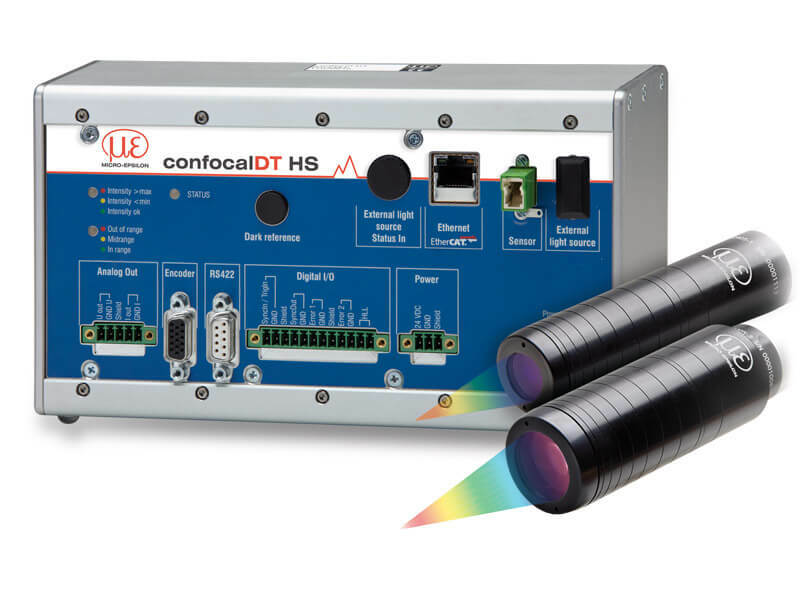 The confocal DT controllers provide an excellent signal-to-noise ratio enabling measurements at high accuracy and have been designed for industrial environments. 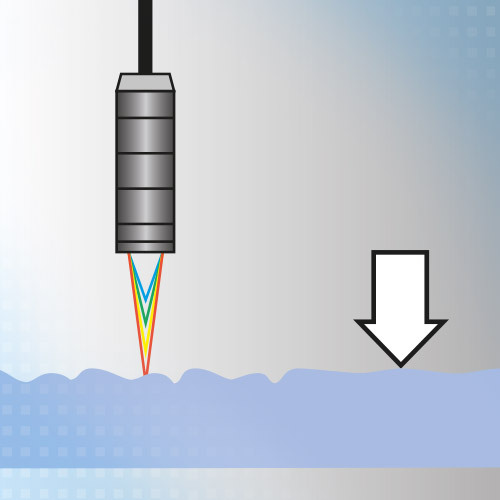 The fast surface compensation regulates the exposure cycles in order to achieve high signal stability which is particularly for high speed scanning of surfaces with varying reflection characteristics. Interfaces are RS422, Ethernet, EtherCAT or Analogue Output.